Art Wing’s Main Factory is the Size of Three Standard Football Fields. 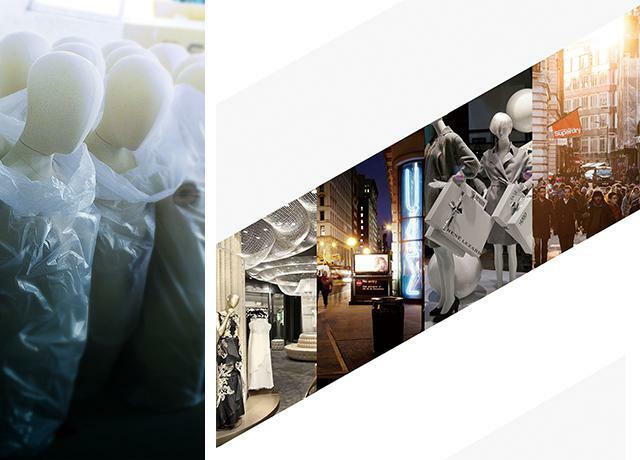 Based in Dongguan but globally oriented, the Art Wing Group collects research and development, design, production, marketing, exhibits, and e-commerce under one roof. 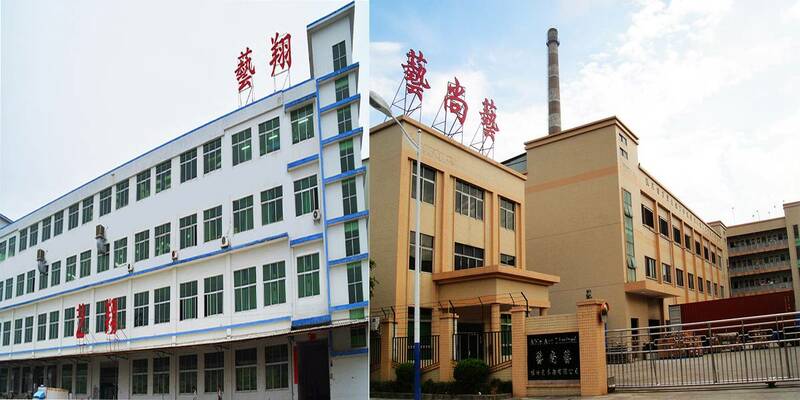 Our core ideas are “connected thinking, smart technology, quality transmission, and a thankful attitude towards society.” In the last two years, Art Wing has spent three million-yuan to expand our factory to produce nine series of new products. These new products have already received a total of 20 million orders. In the future, Art Wing plans to continue its search for potential new factories globally, so we can devote independent production lines to our smart service robots and other high end products. For twenty years, ArtWing as wholesale mannequins suppliers has strived to exceed the standard of an international brand. Every person on our production line has a clear knowledge of how their work contributes to the perfection of our products. Beginning with a clay sculpture, then a mold, followed by constant polishing and three layers of paint, makeup, metal fittings, and finally the attaching of the stand, every stage is carried out to exacting aesthetic standards. In the pursuit of quality, we put each product through a twelve-stage quality control process before carefully packing it and ensuring it will reach our customers in perfect condition. This entire process forms the strength of Art Wing’s production capabilities, and ultimately is the reason for our fashion mannequin’s exceedingly high quality. Art Wing has won the respect of industry peers worldwide for its commitment to high-quality products and professional service. Look in the windows of almost any business district and you’ll find the familiar figure of an Art Wing Mannequin. As we continue to innovate and hone our skills, Art Wing has received ISO and SEDEX certifications, among others, and has won the “China Top Brand” award, the “China Quality Supplier” award, and the “Dongguan Municipal Outstanding Enterprise” award. We have already developed the eagerly anticipated environmentally friendly fashion mannequin and the ultra smart robotic model. We have received praise from our employees, from our fellow companies, from customers, the government, and society at large, and have built long-lasting partnerships with many famous enterprises. OEM Industry Leaders: Handsboodt, Window, Vision, Genesis and more. ODM Chinese Top-line Brands: Marisfrolg, Chlosio, Fashonery, Maniform, Sedate, and more. ODM International Luxury Brands: Marks & Spencer, 1881, Chanel, Dior, Ermenegildo Zegna, and more. “Innovation is the lifeblood of a company.” At Art Wing, innovation is a required course for all of our researchers. 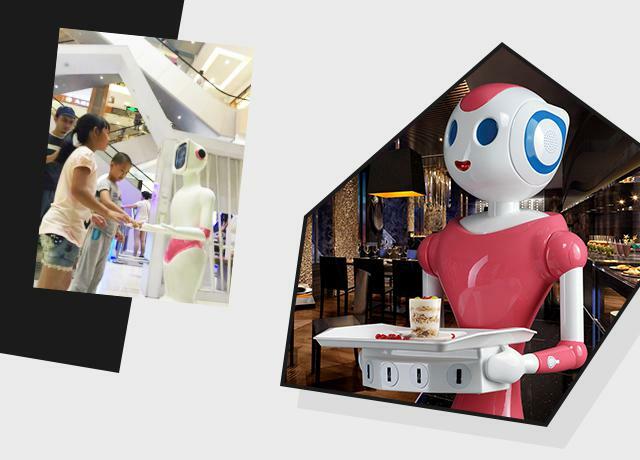 As a pioneer in China’s smart service robot industry, Art Wing has poured 100 million yuan into the creation of a robotics company and has developed smart service robots suited to the retail, hospitality, medical, safety, and education industries, among others. Faced with the rise of the internet+ era, Art Wing has oriented itself towards applied robotics and has demonstrated to the public the potentially explosive market for robotics. We are committed to becoming a global brand known for our environmentally friendly and smart brands, as well as China’s leader in smart service robots. We will use technology, innovation, and limitless energy to stride forward and create a brighter future.